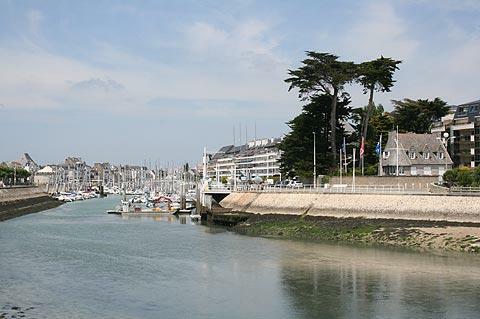 The seaside resort of Le Pouliguen is situated on the Atlantic Coast of the Loire-Atlantique department just south of Guerande. 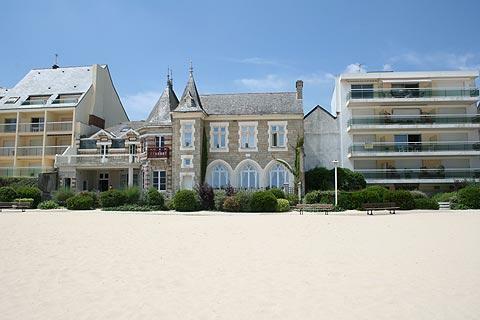 The resort represents the southern end of the 'cote sauvage' and the start of an extensive stretch of long sandy beaches along the Atlantic coast, along with the popular resort of La Baule starting just to the east of Le Pouliguen. The main beach in Le Pouliguen is long and sandy, and backed by the first of the apartment blocks that you can see lining the coast for a very long distance to the east. Its position at the end of the 'cote sauvage' means that if you walk a little way along the coast it becomes more rocky, with lots of small caves in the cliffs behind the beach. The tourist office in the port of Le Pouliguen can give you a map showing the position of each of the caves - the most interesting are the Grotte des Jumelles, with two passageways leading into a large cave, and the Grotte des Korrigans (the korrigans are a mythical creature not unlike gremlins that are said to live in the cave). Cave exploring is best done at low tide! Away from the beach there is a substantial harbour for pleasure boats and occasional fishing boats in Le Pouliguen which is a pleasant place for a stroll and a bustling lively area in summer. This continues on to the popular promenade area with its shady plane trees. There is also a large wooded parc a little inland from the harbour front, surrounded by some impressive 19th century villas. In the town you can also see the small 15th century Chapel of Penchateau - take a look at the stone cross (also 15th century) next to the chapel which features a very primitive representation of a crucifixion. 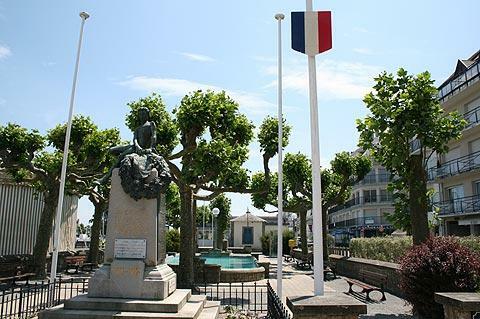 Le Pouliguen itself lacks some of the appeal of the pretty harbours such as Le Croisic to the west, and the beach doesn't have the sophistication of La Baule to the east - they are both exceptional in their own way and should feature on your list of places to visit nearby. You will discover all of these places as you explore the Cote d'Amour around Le Pouliguen. 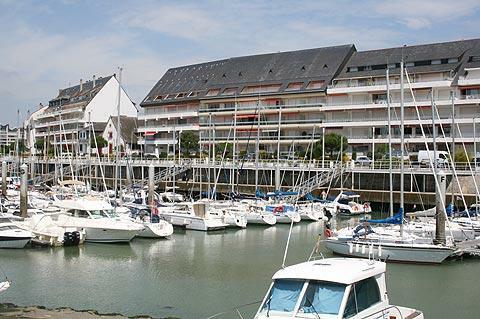 Be sure to also visit the historic walled town at Guerande a few kilometres inland.